Prostitute Disfigurement is a brutal death metal band. They started out as a 3-piece, near the end of 2000, under the name Disfigure. They were joined by Roel, on guitars, just before making their demo recordings. Following their second live show, the band was offered a record deal with Dutch-based Dismemberment Records, after which they released their debut album, Embalmed Madness, under the name Prostitute Disfigurement. Both the debut album and the demo were recorded using a drum computer. Embalmed Madness was released during October 2001, in a limited quantity of 500, which sold out in a few weeks. Quickly, 500 more were pressed and were again sold out quickly. The album got raving reviews in media such as Aardschok (NL), Legacy (GER) and so on and is now re-released by Unmatched Brutality. More gigs made a live drummer mandatory, to benefit the aggressive stage-act of Prostitute Disfigurement, so local guy Tim joined. 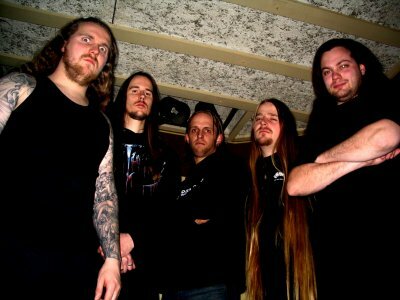 After Tim was enlisted, the band started to work on their second album, entitled Deeds of Derangement. This heavy piece of death metal was recorded early February 2003 and was released on German based Morbid records in August 2003. Again great reviews were received, yet despite this, guitarplayer Niels left the band, and Benny was asked to fill his shoes. To support the album, lots of gigs were performed, including festival appearancess on Obscene Extreme, the Morbid festival and the Rotterdam Deathfest. Sharing stages with well-known acts like Suffocation, Exhumed and Gorerotted fed the band only more. After 2 years of gigs Tim left the band, and Michiel (Katafalk, Toxocara), was asked almost immediately. He gladly took over the drum duties and, barely a month after he joined the ranks, the band entered Excess Studios to record their third album, entitled Left in Grisly Fashion. This album has now been released on Neurotic Records on June 6th, 2005. So far the response is overwhelming, and Prostitute Disfigurement is planning their first full European tour in late summer, as well as various other appearances in various countries. The fourth full length album of Dutch death metal force Prostitute Disfigurement, to be entitled Descendants Of Depravity, has been finished off completely. Artwork for the album was created by Par Olofsson (known for his work with Psycroptic, Disavowed, a.o. ), and the layout was handled by Joel Sta. The album will be released in October 2007 in Europe, with a U.S. release through Willowtip/Neurotic Records. The U.S. date is yet to be stated.